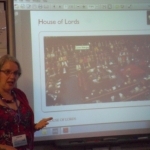 saltash.net community school held events last week to celebrate Parliament Week, including hosting a talk from Judith, Baroness Jolly, to fit in with students’ study of A Level Politics. This visit was one of over 40 visits to schools that took place around the UK to mark the final day of Parliament Week, a national initiative to build greater awareness of, and engagement with, parliamentary democracy in the UK. Baroness Jolly met with students for an hour to talk about the work and role of the House of Lords and to answer their questions about her views, her work, and how she became a Baroness. The visit was arranged through the Lord Speaker’s “Peers in Schools” programme, which has been running across the UK since 2007 and has so far involved around 50,000 young people. Last Friday also saw the programme having made over 1,000 visits to schools up and down the country since its creation. 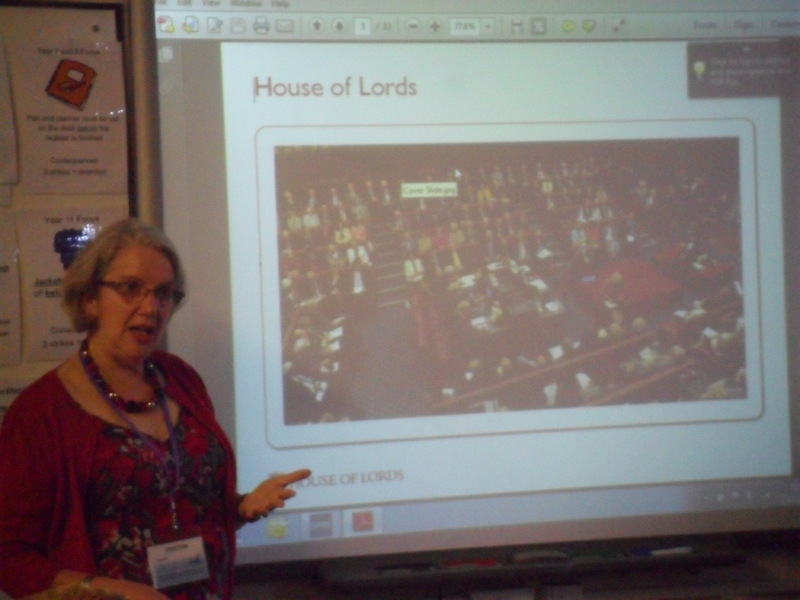 This continuing outreach programme sends members of the House of Lords into schools and colleges across the country to give talks in support of the citizenship curriculum. For further information, see the Lord Speaker’s web page at www.parliament.uk/lordspeaker. Earlier in the week the school had also hosted a visit from Sophie Byford, an Education Outreach Officer for Parliament’s Education Service. 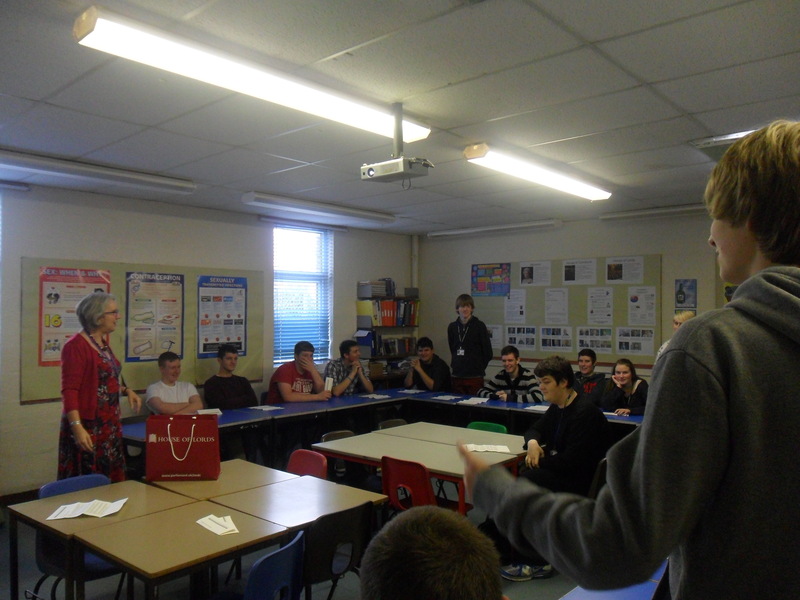 Sophie spoke to both Politics and Gifted & Talented Students about the work of Parliament and its debating rules, and then chaired a debate between Year 12 and Year 13 students on the motion ‘Parliament believes that parents should be held responsible for the actions of their children’. Year 12 student David Wunderle said “The visits were a very informative and interesting opportunity to find out about Parliament from people who really know” whilst fellow Year 12 Lily Blake added, “It gave us a different perspective on the work of Parliament”.